Unless you were *very* naughty boys and girls, you will have known it was Mother’s day last weekend! Yes it’s a manufactured holiday, but it’s an opportunity to do something fun! This year I thought, let’s eat cake. Lots and lots of cake. 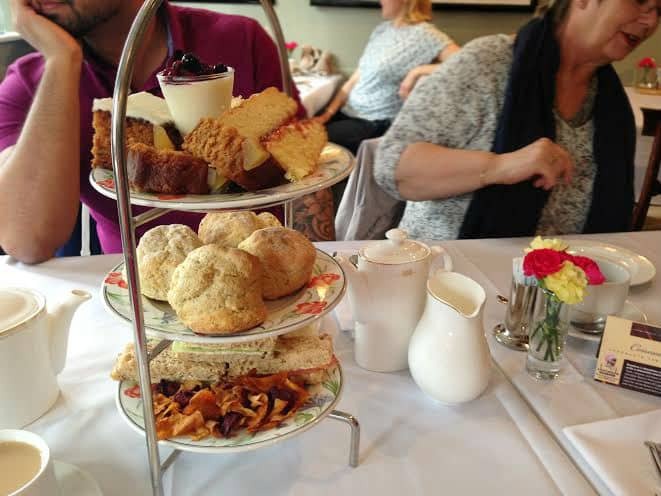 History has it that afternoon tea was invented by the Duchess of Bedford, who essentially created it after complaining of getting too peckish in the afternoon. And so a meal made almost entirely of cakes was born… the Duchess sounds like my kinda girl. I took my mum and the family to beautiful Burford in the Cotswolds. If you’ve never visited this corner of England it’s chocolate box, picture perfect heaven, perfect for afternoon tea! We pitched up at the Burford House hotel, right on the high street and fittingly quaint for the reason we were there. We got started on the absolute bucket of strong breakfast tea whilst our scones baked in the oven. 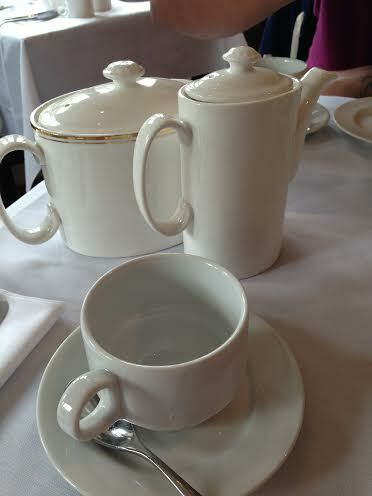 A couple of tea cups in our food arrived with a cake stand shared between two people. Afternoon tea in my head is always a very dainty affair. I picture ladylike women nibbling on cucumber sandwiches with pinkies raised. 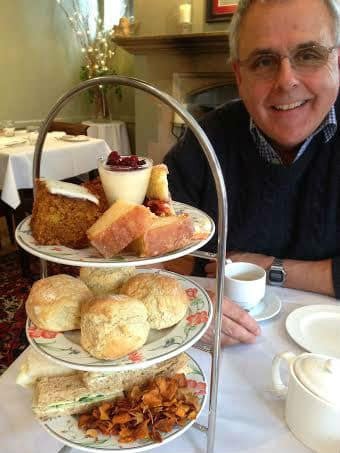 But every time the reality of it shatters that image because for all it’s twee presentation, afternoon tea is an unadulterated glutinous feast! 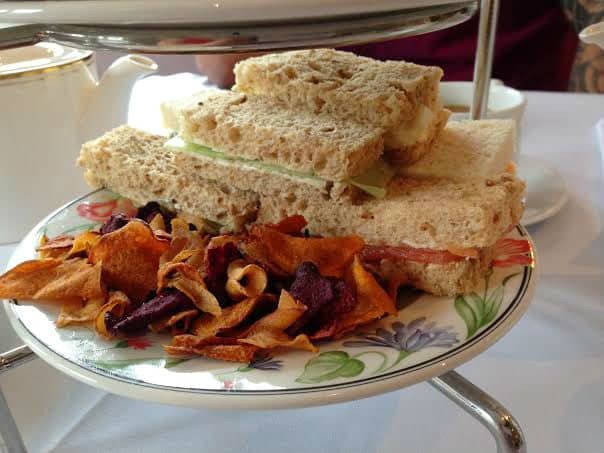 Tier one was finger sandwiches of cucumber (of course) & cream cheese, and smoked salmon, accompanied by a crunchy pile of vegetable crisps. Obligatory savouries polished off it was on to tier two with huge scones hot from the oven. 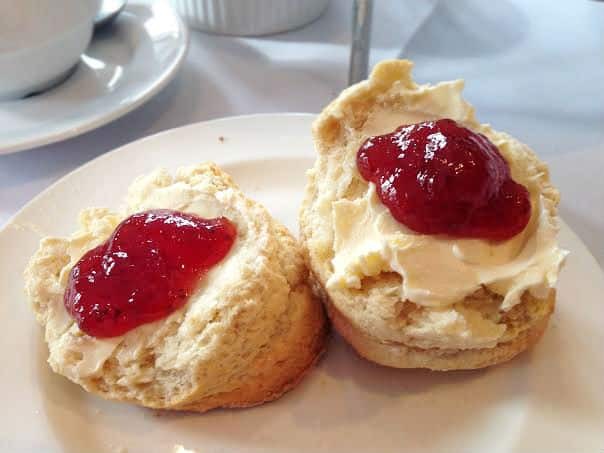 Burford house serve their scones with enormous servings of deliciously thick & fresh clotted cream and sweet strawberry jam. 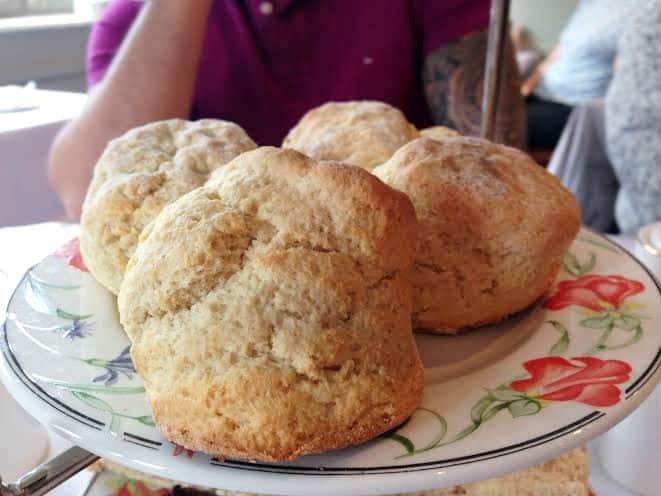 The scones were wonderfully crumbly on the outside and satisfyingly doughy on the inside, needless to say a refreshing glass of bubbly was just what was needed to help wash them down in preparation for tier three! 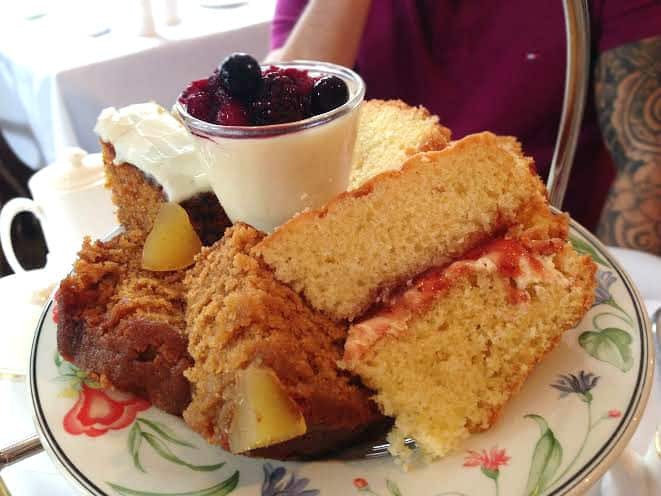 Ginger cake, carrot cake, lemon drizzle cake, Victoria sponge, berry posset… honestly I stand by it, afternoon tea ain’t for ladies! My fuel gauge was starting to hit full at this point, but curiosity pulled me through. This tier was great fun as there was so much going on. My favourite was the ginger cake, it was super moist and soft with lovely garnishes of spicy sweet stem ginger pieces. The sticky exterior was a dream too! 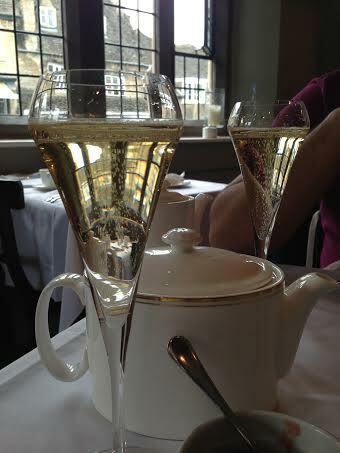 I left Burford House feeling completely satisfied, a little bit naughty and not at all like a lady. Good job done!